The smart speaker ecosystem was in its nascent stages at the beginning of 2017, but the previous year fueled the fire like none other. Amazon Alexa and Google Home found their way into a lot more homes, seeing close to a 128% surge in numbers in the U.S, but what is the exact number of consumers who own them? According to a study published by National Public Radio (NPR) and Edison Research, one out of six American users, over the age of 18, own a speaker with some form of smart assistant backing them up. This means close to 16 percent of the population, i.e about 39 million people, in the United States are now speaking to either Amazon Alexa or Google Assistant to go about their daily lives. This study also shed light on the significant fact that Alexa is ruling the smart speaker ecosystem, even after the direct intervention from Google Assistant the previous year. It has revealed that 11 percent Americans own some sort of Alexa-powered speaker, whereas the Google Home lineup has managed to reach four percent in 2017. 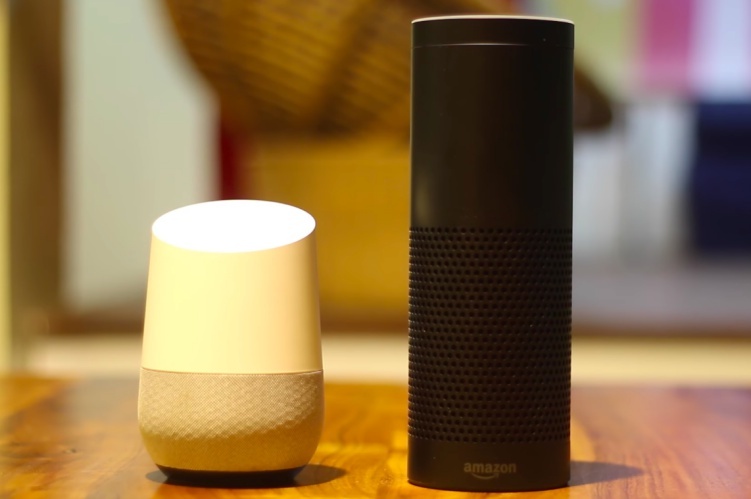 This is a reasonable figure to represent the market share for both, considering the fact that a plethora of Echo speakers were already available in the market when Google Home made its debut. Google added two new speakers, one the Home Mini and other the Home Max, in the middle of 2017. The study further reveals that around seven percent American citizens bought a smart speaker as a present during the holiday season, out of which four percent were first-time buyers. And this has changed the people’s behavior and how they spend their time at home. This research has uncovered another significant tidbit, showing how the purchase of smart speakers have affected our interactions with other pieces of technology. The data has been collected with an 806-member blind group, revealing that American citizens aren’t fully replacing their other gadgets but are surely gravitating towards the use of smart assistants. As seen in the chart attached above, 39 percent users are listening to FM radio lesser than usual while 34 percent of them are engaging less with their hand-held devices. However, it is the figure that 51 percent of users are now interacting more often with the smart speaker than they did in the first month. This study clearly sheds light on the curiosity (as well as interest) of the consumers to be able to interact with an AI-powered smart speaker, sitting in their living room. And this is possibly just the beginning since, as we witnessed at the CES show floor earlier this week, the prominence of smart assistants in our lives is only going to intensify this year as well. And if you ask me, smart assistants are only going to find their way into more homes, with the rivalry between Alexa and Google Assistant intensifying in the screen-oriented speaker market. Also, Apple’s HomePod is expected to debut early in 2018, giving users the choice to pick Siri over others. So, what should we expect from smart speakers this year? Let us know your opinions down below.